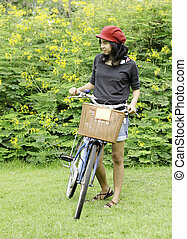 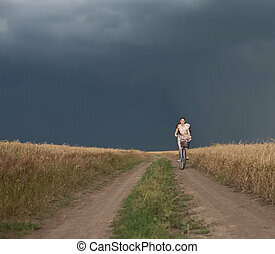 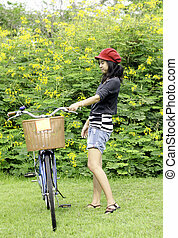 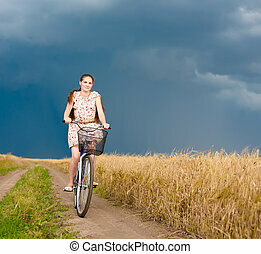 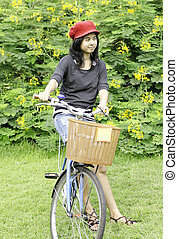 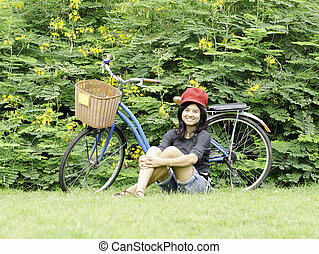 Young woman on a green meadow with a bicycle. 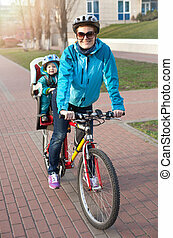 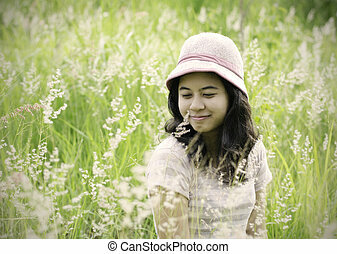 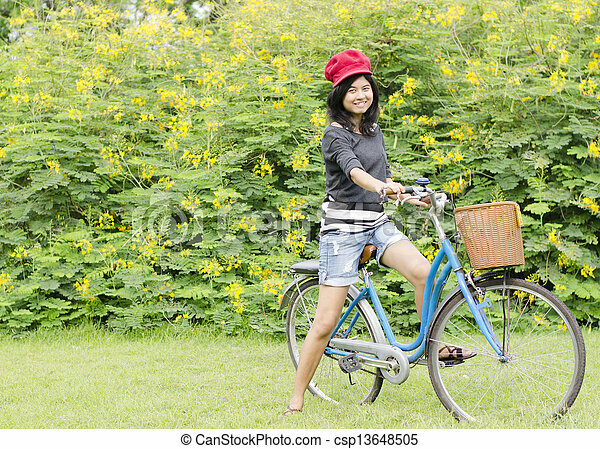 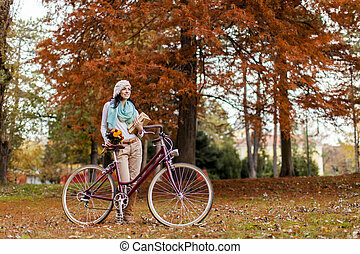 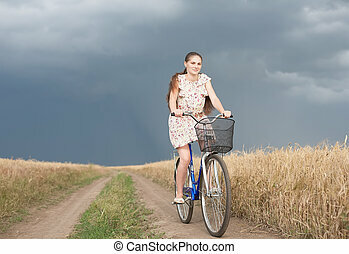 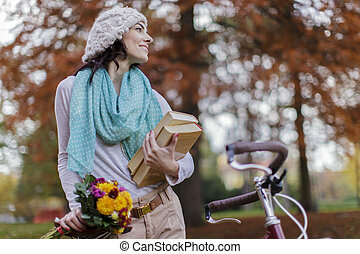 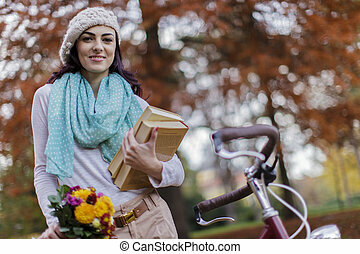 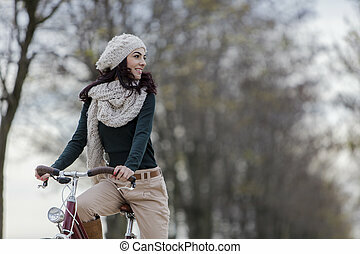 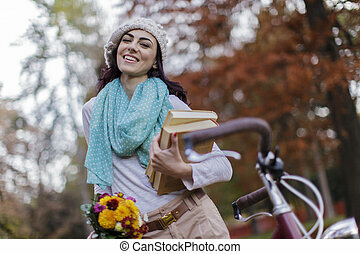 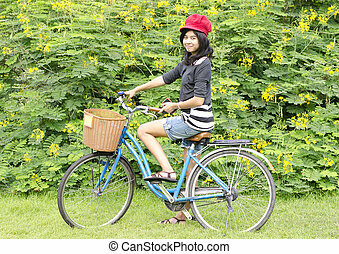 Happy young woman on a green meadow with a bicycle. 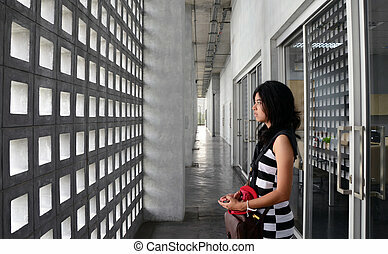 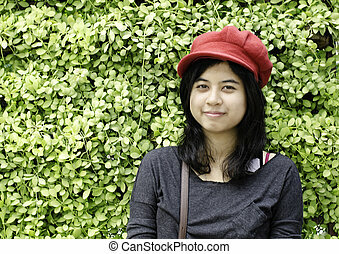 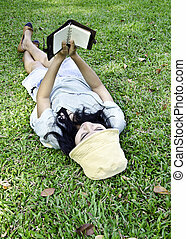 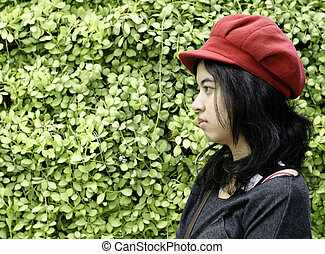 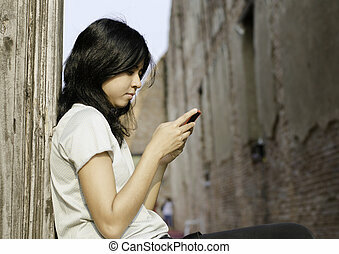 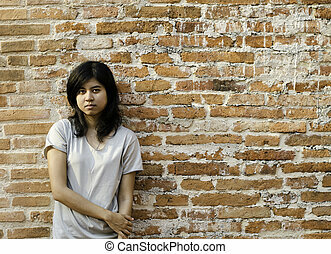 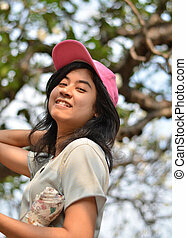 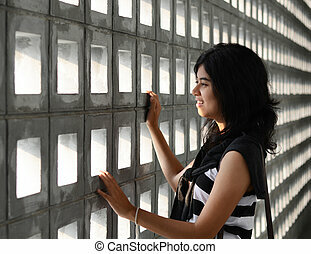 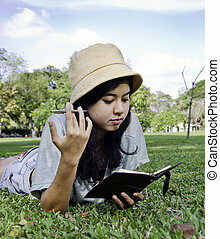 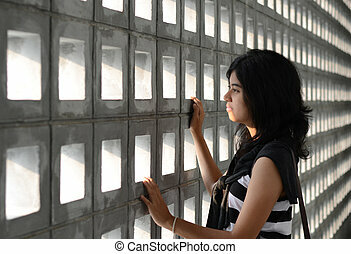 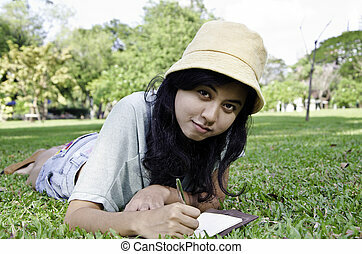 Young Asian woman against a Brick Wall with Copy Space. 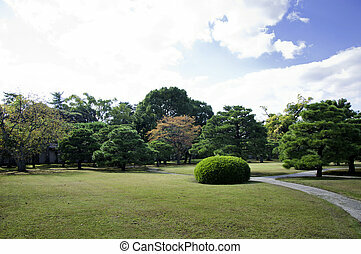 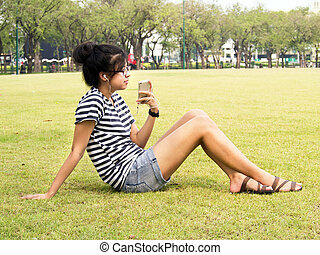 Portrait of a happy family lying on the grass in a park.